Another great dinner meetup for the Orange County DeLorean Club… and just a few days before Christmas no less! Four DeLoreans and 10 people showed up at the Green Tomato Grill in Brea for dinner and visiting. 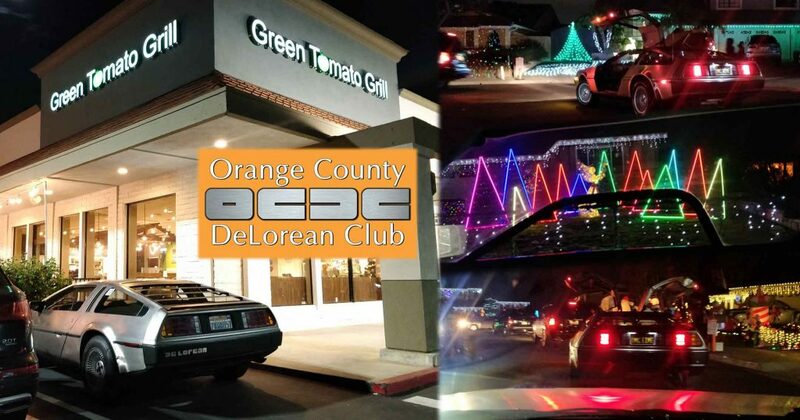 Only two things could make the OCDC Christmas Light Cruise better… more DeLoreans, and having the DeLoreans decorated! So NEXT year, the Orange County DeLorean Club is going to invite owners to decorate their cars with lights and tinsel and whatever else you like, to make a grand showing while we take in the wonderful neighborhood display. Be on the lookout… for DeLoreans!